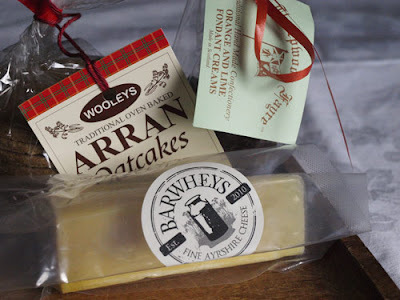 Good photographs are essential for a successful food blog, so the Food Photography session at the Taste of Ayrshire Food Bloggers Conference was eagerly anticipated. Darren McKean of Fiona McKean Photography took us through a rough guide to the equipment that would help us take better photographs. These included covering a piece of card with tin foil or using a piece of white polystyrene as a light reflector as you can see in the photograph above, and yes, that is me! Thanks to Louise at Please Do Not Feed the Animals for sharing her photograph with me. When food styling use the colour wheel to find opposite colours. There are online versions such as colourschemedesigner.com which can can help you choose good colour combinations. 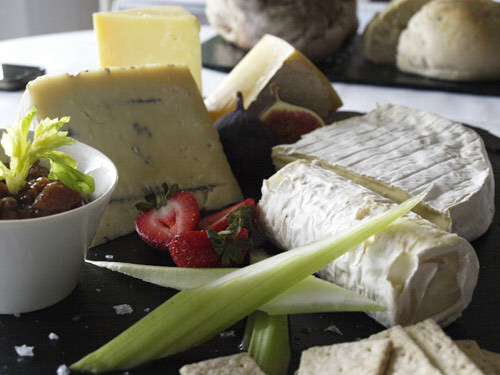 Keep a styling box with a variety of boards, plates, cutlery. 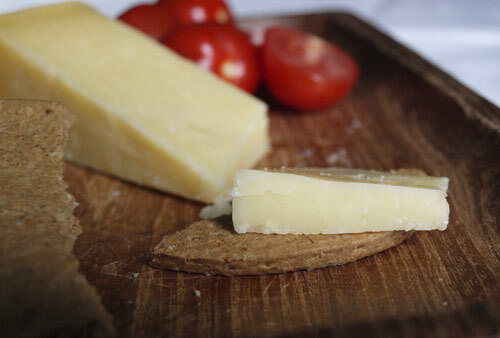 Bargains can be found in supermarkets, charity shops and £1 shops. Probably the most important tip that I learned from the session was to get the shoot area, your props and your camera set up, then prep your food, do a test shoot, then finally the food shoot. 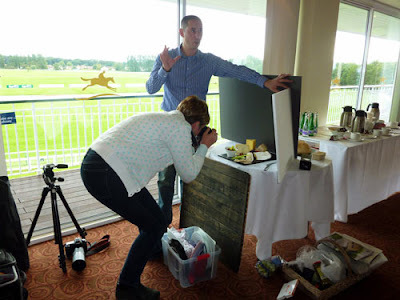 This is the final chapter from the Food Bloggers Conference, many thanks to Lisa Tennant of Taste of Ayrshire for organising the event, to Ayr Racecourse for hosting and to all the contributors who were generous with their time and talents. I really enjoyed meeting the bloggers with special thanks to Jacqueline from Tinned Tomatoes and Louise from Please Do Not Feed the Animals for sharing their photographs with me. Thanks also for the goodie bag containing a piece of Barwheys Fine Ayrshire Cheese, it was just as cheese should be, sharp and tangy. 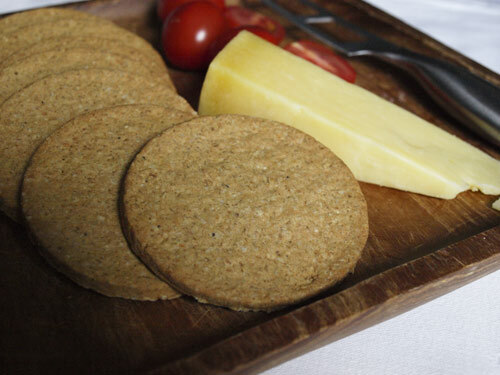 To complement the cheese was a pack of Wooleys Traditional Oven Baked Arran Oatcakes, a firm and well fired oatcake I really enjoyed. My husband was particularly impressed by the Threepwood Fayre, Orange and Lime Fondant Creams. Thank you for sharing all this, Janice! I would love to attend such an event, too, one day. Sounds like a good photo session with tips, Janice. I really wanted to go to the conference for this workshop alone. Great post. I really appreciate you sharing what you learnt! next time I'm on that train up north! Love your blog! I've been looking for some inspiration online for my food and product photography and this has really helped so I just wanted to say thank you! Glad it helped you Mike, it made me have another look and there is still lots I need to learn.